Never mind that they're not all the same plant, these are what's happening. The grape hyacinth is in full bloom and seems to be the only one left that wishes to do so. Same goes with the fern. We planted several plants last year and this little guy is the only one who came back. I still have some hope but it's waning as the days go on. The onion isn't planted at all but you know how onions do. One day they're in the onion bin waiting to be cooked and the next day they're ready to be planted and make little baby onion plants. I'll be transfering him soon with a couple others. After a years worth of posts (365) it's a good time to look back over and see what is still working. 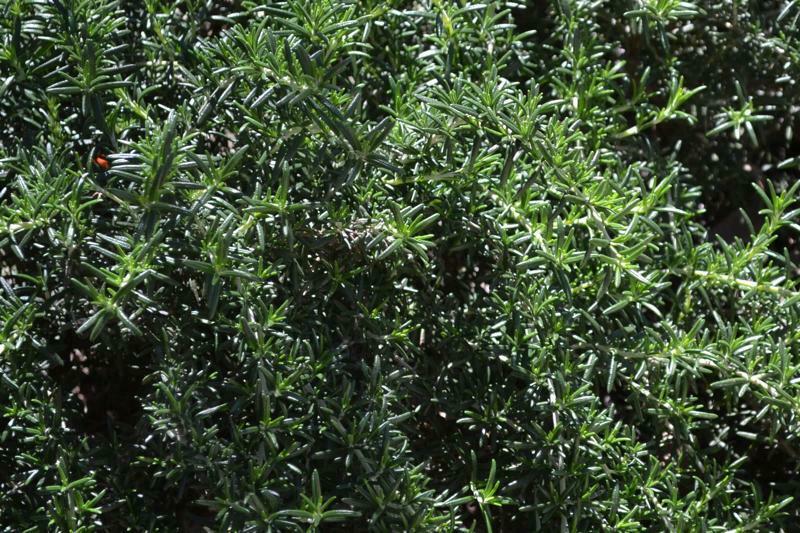 We may have some gaps in the herb garden, but here are a few herbs which have made it not only through the brutal summer, but are thriving in the unusual not-so-wintery weather. Oregano -- It's making a beautiful carpet near the front door and has always been plentiful enough to use whatever is necessary for cooking. We've even had to toss some of the trimmings when it was just too much. 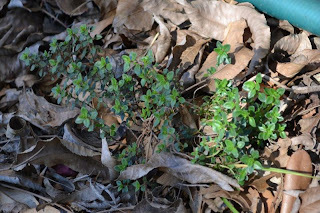 Lemon Thyme -- We thought it was a goner, but it is making a comeback. 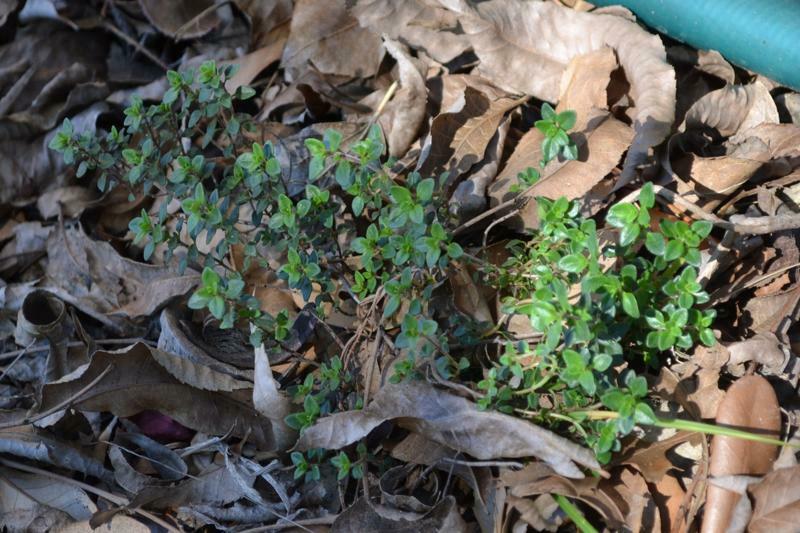 Only a few months ago it was down to about 2 stems and a few dozen leaves. Excellent in cookies. 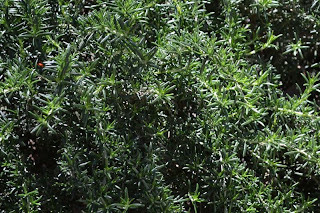 Rosemary -- This is only one of our three bushes. While the other two are upright, they are all as glossy and healty as this guy. Always a pleasant smell as guests arrive and rub against it on the way in. 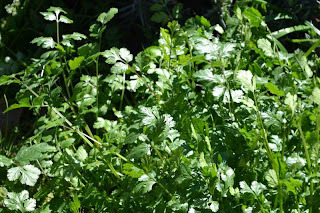 Cilantro -- This annual is only looking bigger and prettier in the middle of February. A self seeder, it's come back for a few years now and just in time to miss tomato season. May have to dry a good bit of this for tomato sauce come summer. 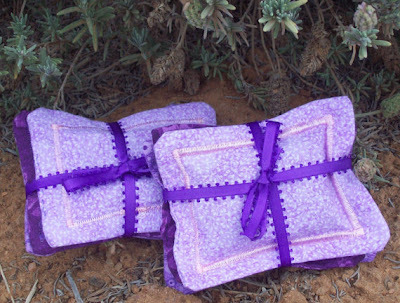 My sweet wife had decided to give away two sets of her dryer sachets to people out there who love herbal crafts. The giveaway lasts two weeks and is already three days in. You can enter this giveaway by going to giveawaysandglitter. Remember Even if you don't win you can still purchase these fragrant sachets from her etsy store. I spent a bit of time in Dallas over the last few days. The urban landscape is pretty bleak, exept for the humble, oft-overlooked, edible pansy. 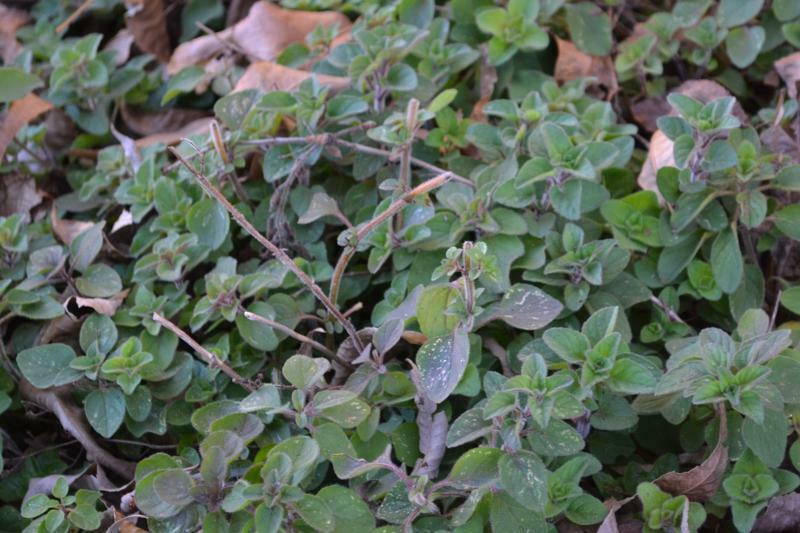 These members of the viola family are on display in almost every flowerbed, and are obviously enjoying this mild weather. Just a few days ago the weather folks said it would drop below freezing for the lows for a couple days. The next day they had revised it to the upper 30's. Earlier today they tried to say it would be in the lower 30's for lows but is now back up to the upper 30's again. I can only hope that the winter passes by without a lot of cold. Maybe I can get my garden going early this year. I pulled two snow peas today and gave them to a coworker who really likes veggies. I figured she'd be a good person to tell me if it's producing a good tasting snow pea. By the time I picked them they had plumped quite a bit and didn't resemble the snow pea I usually see in chinese food. She said it went perfectly in her salad and I'm looking forward to using the rest of them minus a few more for her as a thank you for testing them for me. It should produce many more before the season is over.